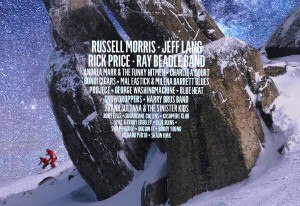 Now in its 21st year this years Thredbo Blues Festival is shaping up to be one of the biggest and best yet. From the 16-18 January 2015, some of Australia’s finest blues artists will perform over the weekend with headline acts including legendary Russell Morris and the iconic Jeff Lang, super-smooth Ray Beadle, renowned Rick Price and more. With performances across both public venues and intimate dining environments, the festival will once again fill the Thredbo Village with the sounds of Blues. The combination of concert, intimate and poolside venues showcasing artists at their best will create a party not to be missed with your accommodation just a short walk home.